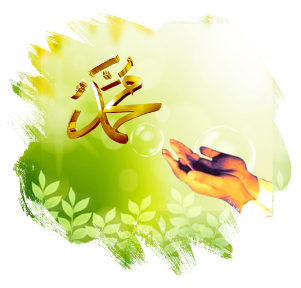 Another numerous sort of the various kinds of miracle of God’s Most Noble Messenger (PBUH) were the wonders manifested as a result of his prayers. This kind is definite and there is ‘true consensus’ in their many reports. The instances and examples of it are so numerous as to be incalculable, and many of these have reached the degree of ‘consensus,’ or have become famous as such. Others have been related by such authorities that they bear the same certainty as well-known ‘consensus.’ As examples, we shall quote only some of the numerous instances of this kind of miracle that are very well-known and nearest in degree to ‘consensus,’ giving some particulars of each instance. God’s Messenger prayed for various distinguished Companions for different purposes. His prayers were all accepted in so brilliant a fashion that the wonders of these prayers reached the degree of a miracle. There are numerous instances of this sort of miracle, but we consider the four described above to be sufficient as examples. On another occasion, God’s Messenger prayed for the famous Abu Qatada that he might remain young: “May God prosper your face! O God, bless his hair and his skin!” When he died at the age of seventy, he was like a youth of fifteen. (17) This is related through a sound narration. These events are famous and there is no room for doubt about their truthiness. We shall describe here a few events regarding maledictions of God’s Messenger (PBUH). The First: The Persian Shah Parviz tore up the letter sent to him by the Prophet. When God’s Prophet received news of this, he prayed: “O God, rend him as he rent my letter!”(23) It was as a result of this malediction that Chosroes Parviz’s son Shirviya cut him to pieces with a dagger. (24) And Sa‘d b. al-Waqqas broke his kingdom apart, so that in no part of the Sasanid empire did his sovereignty remain. However, the Emperor of Byzantium and other kings did not perish since they respected the Prophet’s letters. The wonders resulting from prayers of the Noble Messenger (PBUH), and from his touch. Here we shall mention several events which are certain, from among the numerous wonders resulting from prayers of the Noble Messenger (PBUH), and from his touch. The Second: Salman al-Farsi had formerly been a slave of the Jews. His masters had asked for a very high ransom, saying: “In order to gain your freedom, you must plant three hundred date-palms, and after they bear fruit, give us forty okkas (31) of gold in addition to the fruit.” He went to the Noble Messenger (PBUH) and explained his situation. God’s Messenger then planted the three hundred palms in the region of Madinah; only one of them was planted by someone else. That year, all three hundred trees bore fruit, with the exception of the one planted by the other person. The Messenger uprooted it and planted another, and it too bore fruit. The animals whose milk increases upon the prophet’s (PBUH) prayer and touch. There are further instances in the books of biography similar to these, but these examples are sufficient for our purpose. We shall recount here a few out of many instances of wonders which were manifested after God’s Messenger (pbuh) had touched the faces and heads of certain people, and prayed. There are numerous further examples similar to these, most of which have been narrated by the leading scholars of Hadith. Even if we suppose each of these instances to be a single report and weak, as a whole they still demonstrate an absolute miracle of Muhammad (PBUH) which has the certainty of ‘consensus in meaning.’ For if an event is narrated in numerous different forms, the occurrence of the basic event becomes definite. Even if each form is itself weak, it still proves the basic event. For example, a noise was heard; some people said that “a house had collapsed.” Others said, “it was a different house, and so on.” Each narration may be a single report, and weak, and untrue, but the basic event was that “a house had collapsed;” that was certain and they were unanimous concerning it. However, the instances we enumerated above were both authentic, and some of them became famous. Suppose we consider each of these to be weak, all together they still demonstrate the certain existence of an absolute miracle of Muhammad (PBUH), like the absolute collapse of the house in the comparison. Bukhari, Istithqa, 6-8, 14; Muslim, Istithqa, 8-10. Majmau’z-Zawaid, 6:194-195; Ibn Huzayma, 1:53; Mustadrak, 1:159; Ibn Hibban, 4:223. Ibn Sa’d, Tabaqat, 1:90; Bayhaqi, Dalailu’n-Nubuwwa, 2:15-19. Bukhari, Istithqa: 3; Fadailu Ashabi’n-Nabi: 11. Bukhari, Istithqa: 19; Ibn Majah, Iqama: 154; Muslim, Salatu’l-Istithqa: 8, hadith no. 897; Ibn Kathir, al-Bidaya wa’n-Nihaya, 6:91-92; Qadi Iyad, ash-Shifa, 1:327. Tirmidhi, Manaqib: 18, hadith no. 1683; al-Albani, Mishqatu’l-Masabih, no. 6036; al-Mubarakfuri, Tuhfatu’l-Ahwazi, no. 3766; Ibn Athir al-Jizri, Jamiu’l-Usul, no. 7428; Ibn Hibban, Sahih, 9:17; al-Hakim, al-Mustadrak, 2:465, 3:83, 502; Qadi Iyad, ash-Shifa, 1:327; Bayhaqi, Dalailu’n-Nubuwwa: 2:215. Bukhari, Wudu’: 10, Ilm: 17, Fadailu’l-Ashab: 24; Muslim, Fadailu’s-Sahaba: 138; Ibn Hibban, Sahih, 9:98; Qadi Iyad, ash-Shifa, 1:327; Ali al-Qari, Sharhu’sh-Shifa, 1:661; Khafaji, Sharhu’sh-Shifa, 3:130; Ibnu’l-Athir, Jamiu’l-Usul, 9:63; Musnad, 1:264, 314, 328, 330; al-Hakim, al-Mustadrak, 4:534. Mustadrak, 3:535; Ibn Hajar, al-Isaba, 2:330-334; Ibn Athir, Usdu’l-Ghaba, 3:291; Qadi Iyad, ash-Shifa, 1:327. Musnad, 1:338; Ahmad Ibn Hanbal,Fadailu’s-Sahaba, no. 1871; al-Hakim, el-Mustadrak, 3:535; Ali al-Qari, Sharhu’sh-Shifa, 1:661. Bukhari, Daawat: 19, 26, 47; Muslim, Fadailu’s-Sahaba: 141, 142, no. 2480, 2481; Musnad, 3:190, 6:430; Ibn Hibban, Sahih, 9:155; al-Mubarakfuri, Tuhfatu’l-Ahwazi, 10:330. Qadi Iyad, ash-Shifa, 1:326; Ali al-Qari, Sharhu’sh-Shifa, 1:659; Khafaji, Sharhu’sh-Shifa, 3:125. Bukhari, Manaqib: 28; Ibn Majah, Sadaqat: 7; Musnad, 4:375; Qadi Iyad, ash-Shifa, 1:327; As-Sa’ati, al-Fathu’r-Rabbani, 22:326. Majmau’z-Zawaid, 9:286; Ibn Hajar, Matalibu’l-Aliya, 4:105; Bayhaqi, Dalailu’n-Nubuwwa, 6:221. Qadi Iyad, ash-Shifa, 1:327; Ali al-Qari, Sharhu’sh-Shifa, 1:661; al-Haythami, Majmau’z-Zawaid, 5:286; Ibn Hajar, el- Matalibu’l-Aliya, no. 4077, 4078. Tirmidhi, Manaqib: 27, no. 3751; Ibn Hibban, Sahih, no. 12215; al-Hakim, al-Mustadrak, 3:499; Abu Nuaym, Hilyatu’l-Awliya, 1:93, Abu Nuaym, Dalailu’n-Nubuwwa, 3:206; al-Albani, Mishqatu’l-Masabih, 3:251, no. 6116; al-Mubarakfuri, Tuhfatu’l-Ahwazi, 10:253-254, no. 3835; Ahmad Ibn Hanbal, Fadailu’s-Sahaba, 2:750, no. 1038; Ibnu’l-Athir, Jami’u’l-Usul, 10:16, no. 6535. Ibnu’l-Athir, Usdu’l-Ghaba, 2:367; Ibn Hajar, al-Isaba, 2:33. Qadi Iyad, ash-Shifa, 1:327; Ali al-Qari, Sharhu’sh-Shifa, 1:660; Khafaji, Sharhu’sh-Shifa, 3:128. Ali al-Qari, Sharhu’sh-Shifa, 1:661; Ibn Hajar, al-Isaba fi Tamyizi’s-Sahaba, no. 8639; al-Asqalani, al-Matalibu’l-Aliya, no. 4060; Ibn Kathir, al-Bidaya wa’n-Nihaya, 6:168.
al-Haythami, Majmau’z-Zawaid, 9:122; Ahmad Ibn Hanbal, Fadailu’s-Sahaba, no. 950; Ibn Majah, Muqaddima: 11, no. 117; Musnad, 1:99, 133; Musnad (tahqiq: Ahmad Shakir), 2:120, no. 1114; Khafaji, Sharhu’sh-Shifa, 3:133. Qadi Iyad, ash-Shifa, 1:328; Khafaji, Sharhu’sh-Shifa, 3:134; al-Haythami, Majmau’z-Zawaid, 9:203. Qadi Iyad, ash-Shifa, 1:328; Khafaji, Sharhu’sh-Shifa, 3:134; Ali al-Qari, Sharhu’sh-Shifa, 1:662. Bukhari, Ilm: 42; Manaqib: 28; Buyu’: 1; Harth: 21; Muslim, Fadailu’s-Sahaba: 159, no. 2492; Tirmidhi, Manaqib: 46, 47; Musnad, 2:240, 274, 428; el- al-Mubarakfuri, Tuhfatu’l-Ahwazi, 10:334, no. 3923; Ibn’l-Athir, Jamiu’l-Usul , 9:95; Ibn Kathir, al-Bidaya wa’n-Nihaya, 6:162; As-Sa’ati, al-Fathu’r-Rabbani, 22:405, 409-410; Abu Na’im, Hilyatu’l-Awliya, 1:381; al-Asqalani, al-Isaba, no. 1190. Bukhari, Ilm: 7; Jihad: 101; Maghazi: 82; Qadi Iyad, ash-Shifa, 1:328; As-Sa’ati, al-Fathu’r-Rabbani, 22:159. Ibn Hisham, as-Siratu’n-Nabawiyya, 1:71; Tabari, Tarikhu’l-Umma wa’l-Muluk, 2:135; Ibn Kathir, al Bidaya, 10:369. Bukhari, Salat: 109; Manaqibu’l-Ansar: 45; Muslim, Jihad: 107, no. 1794; Musnad, 1:417. Bukhari, Tafsir: 30:.., 28:3, 44:3, 4; Daawat: 58, Istithqa: 13; Qadi Iyad, ash-Shifa, 1:328; Ali al-Qari, Sharhu’sh-Shifa, 1:663; Bayhaqi, Dalailu’n-Nubuwwa: 2:324. Qadi Iyad, ash-Shifa, 1:329; Ali al-Qari, Sharhu’sh-Shifa, 1:664. Ibn Majah, Fitan: 1, no. 3930; Qadi Iyad, ash-Shifa, 1:329; Ali al-Qari, Sharhu’sh-Shifa, 1:665; Khafaji, Sharhu’sh-Shifa, 3:142; Ibn Hisham, Siratu’n-Nabi, 4:247; Ibn Kathir, al-Bidaya wa’n-Nihaya, 4:224-226. Muslim, Ashriba: 107, no. 2021; Ibn Hibban, Sahih, 8:152; Qadi Iyad, ash-Shifa, 1:328-329; Ali al-Qari, Sharhu’sh-Shifa, 1:666. Qadi Iyad, ash-Shifa, 1:331; al-Haythami, Majmau’z-Zawaid, 9:349; al-Asqalani, al-Matalibu’l-Aliya, 4:90, no. 4044; al-Hakim, al-Mustadrak, 3:289. Musnad, 5:441-442; Ibn Sa’d, Tabaqatu’l-Kubra, 4:53-57; al-Haythami, Majmau’z-Zawaid, 9:332-336; Qadi Iyad, ash-Shifa, 1:332; al-Hakim, al-Mustadrak, 2:16. Muslim, Fadail: 8, no. 2280; Musnad, 3:340, 347; Qadi Iyad, ash-Shifa, 1:332. Bayhaqi, Dalalilu’n-Nubuwwa: 6:136; Qadi Iyad, ash-Shifa, 1:331; Khafaji, Sharhu’sh-Shifa, 3:149. Qadi Iyad, ash-Shifa, 1:331; Ali al-Qari, Sharhu’sh-Shifa, 1:668. Ibn Majah, Taharah: 136, no. 659; Qadi Iyad, ash-Shifa, 1:332; Ali al-Qari, Sharhu’sh-Shifa, 1:669. Qadi Iyad, ash-Shifa, 1:334; Khafaji, Sharhu’sh-Shifa, 3:160. Tabrizi, Mishqatu’l-Masabih (tahqiq: Albani), no. 5943; al-Haythami, Majmau’z-Zawaid, 6:58; 8:313; al-Hakim, al-Mustadrak, 2:109; Ibn Kathir, al-Bidaya wa’n-Nihaya, 3:190-191; Ibnu’l-Qayyim, Zadu’l-Maad, 3:55, 57; Ibn Sa’d, Tabaqatu’l-Kubra, 1:230-231. Musnad (tahqiq Ahmad Shakir), 5:210, no. 3598; Ibn Hibban, Sahih, 8:149; Ibn Kathir, al-Bidaya wa’n-Nihaya, 6:102. As-Sa’ati, al-Fathu’r-Rabbani, 20:192-193; al-Haythami, Majmau’z-Zawaid, 8:220-221; Abu Nuaym, Dalailu’n-Nubuwwa, 1:111-113; Ibn Kathir, al-Bidaya wa’n-Nihaya, 2:273; Qadi Iyad, ash-Shifa, 1:366; Ali al-Kari, Sharhu’sh-Shifa, 1:750; Khafaji, Sharhu’sh-Shifa, 3:313. Qadi Iyad, ash-Shifa, 1:334; Ali al-Qari, Sharhu’sh-Shifa, 1:673. Qadi Iyad, ash-Shifa, 1:334; Ali al-Qari, Sharhu’sh-Shifa, 1:674. Qadi Iyad, ash-Shifa, 1:335; Ali al-Qari, Sharhu’sh-Shifa, 1:676-677. Qadi Iyad, ash-Shifa, 1:334; al-Haythami, Majmau’z-Zawaid, 9:412; al-Hakim, al-Mustadrak, 3:487. Qadi Iyad, ash-Shifa, 1:334; al-Asqalani, al-Isaba, 3:225; al-Haythami, Majmau’z-Zawaid, 5:319. Qadi Iyad, ash-Shifa, 1:334; Khafaji, Sharhu’sh-Shifa, 3:163; al-Haythami, Majmau’z-Zawaid, 9:259.